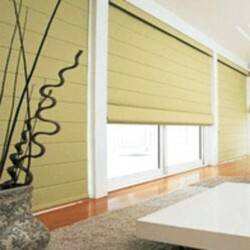 Manufacturer of a wide range of products which include roman shades. For reasons of making the finest Roman Shades available in the market, we engage in the utilization of high grade raw materials and modern machines, in compliance with the set industry norms and guidelines. This ensures the product’s elegance, finishing and sturdiness. Further, the offered range, parked at the most reasonable rate possible, is highly desired and demanded in the market. Looking for Window Shades ?